He was a budding photographer and his main interest was wildlife photography and finally he was able to go to africa to shoot the wildlife there. His plan was to go to Kenya and South Africa and Congo to name a few countries on his itinerary. He had a grand time shooting all the majestic creatures in their natural habitat and he got some truly magical photos which he planned to send to National Geographic and other photography magazines. Today he was shooting zebra, yes those cute black and white animals which are similar to donkeys. He was shooting a herd which must have been more than 10000 zebras strong. He was clicking with glee and didn't realize when he moved to close to the animals and also didn't notice the lion crouched near zebras. And finally the lion started his attack and he started clicking photos. He got some wonderful photos but forgot that he was in the line of the stampede, the mass of running scared animals. Before he had time to react he was hit by many zebras and he fell after full 15 minutes when the final zebra passed he and his camera lay there trampled to death by zebra hooves. 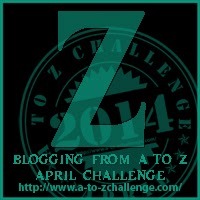 My Entry for Blogging from A to Z April Challenge 2014 - Letter Z and Yes A to Z is complete for this blog of mine. Thanks Everyone. 26 ways to die - what a terribly fun theme! awesome job!! 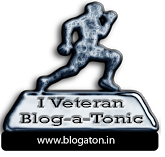 Thank you very much Tara for the wonderful comment.